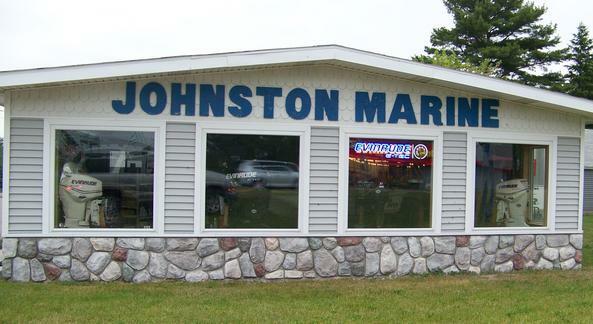 Johnston’s Marine is a family owned business that has been in operation since the early 1950's. 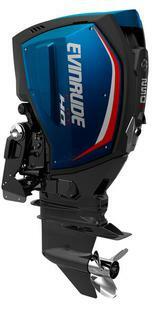 It began with the Evinrude outboard franchise in 1953. Since then we have expanding our sales service & storage facilities to accommodate both inside & outside storage of over 100 boats. We service Evinrude outboards and inboard outboard engines including winterization. We sell Evinrude outboards, Avalon Pontoon Boats, Genesis Boat Trailers, and Aqua Cycle Paddle Boats. Our sales and service facility is located at 11622 North Straits Hwy (across from the State Police Post) and on the Cheboygan River and 40-mile Inland Waterway. From Johnston’s Marine you can travel south through the Cheboygan River to Mullett Lake, Indian River to Burt Lake, Crooked River and Crooked Lake. Or you can go north through the Cheboygan River and the Cheboygan locks to Lake Huron. Our storage facility is located at 2626 East State Street (2 miles east of the State Street draw bridge). We have more than 19,000 square foot inside storage and 10+ acres of outside available. In our service department we have two BRP factory trained technicians with the latest up to date training. We are especially proud of our platinum dealer certification. Because of our location we can do on water testing and launching. We service all the inland lakes and rivers in our area including Mullett, Burt, Black, Douglas, Twin, Monroe, Cheboygan River, Black River and Lake Huron including Bois Blanc and Mackinac Island and the eastern upper peninsula.